Are you in the market for a car that's big on personality and ready for whatever comes its way? Then look no further than the new Citroën C1, which we have available to order right now here at Motorparks. Instantly capturing so much attention with its original styling, this advanced urban city car also boasts efficient engineering credentials and packs in so much handy technology. The new Citroën C1, the eye-catching city car available now from Motorparks Citroën and Oldham Motors Citroën. You will be able to drive incredibly long distances without needing to worry about calling into a fuel station when behind the wheel of the new Citroën C1, due to the fact the car delivers a fuel consumption of up to 74.3 miles on a combined cycle. Don't panic about navigating busy city centre streets in the new C1 either. After all, this vehicle measures just 3,466mm long and also achieves a turning circle of a mere 9.6 metres. Parking and changing directions will feel so easy. Bright paintjobs and unique styling features allow the exterior of the new Citroën C1 to instantly catch the eye, while the French manufacturer has also been sure to give the cabin of its urban city car a cheerful ambience. Wherever you take the new C1, it is sure to get plenty of attention. The car is etched in your choice of eight bright body colours, for one thing, while also being designed with a series of dynamic lines. LED daytime-running lights add another stylish touch to the city car's exterior design, as does the inclusion of a set of 15-inch alloy wheels which also provides the vehicle with a touch of modern, urban chic. There is so much to admire about the interior of the new C1, including the fact its dashboard has been given a clean and uncluttered design. You'll also find magnificent touches of colour throughout the car's multimedia surround, air vent trim and gear lever surround, which helps to make the cabin cheerful in its setup. 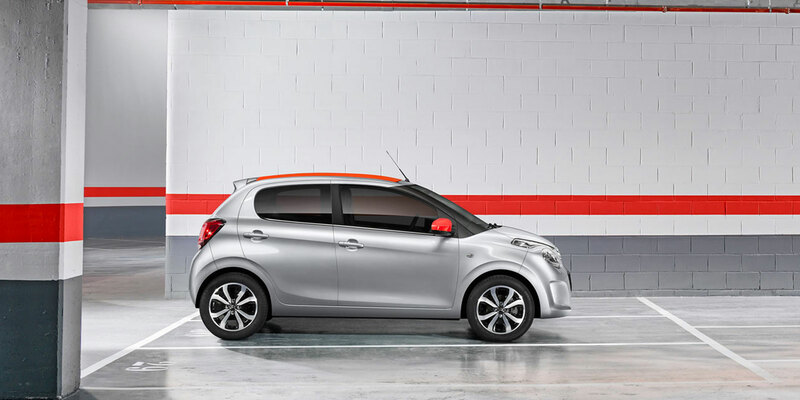 Handy pieces of technology certainly aren't lacking when it comes to the new Citroën C1. There's a reversing camera that will make it a lot easier to manoeuvre into even tight spaces, for example, and a hill-start assist feature which gives you reassurance while driving from A to B. We must also mention the Mirror Screen with Triple Play technology which is found in the urban city car's cabin. Connect your smartphone to the dashboard device and you'll be able to deliver so much more in-car entertainment during road trips. You have so many ways to make the new Citroën C1 personal to you, such as by choosing from a selection of dazzling roof graphics. Will a chequer kit suit your tastes, or will you favour a Union Jack design instead? Discover much more about how the new C1 can be personalised and also enquire about Citroën's urban city car in general by either contacting us online or paying us a visit in Greater Manchester at our Oldham Citroën dealership.